A killer crossover isn’t just a crowd-pleaser – it’s one of the most effective ways of creating space off the dribble and getting into the lane for a high percentage shot. Below are two advanced basketball dribbling drills to help you develop an ankle-breaking crossver move… and actually USE it in a game! 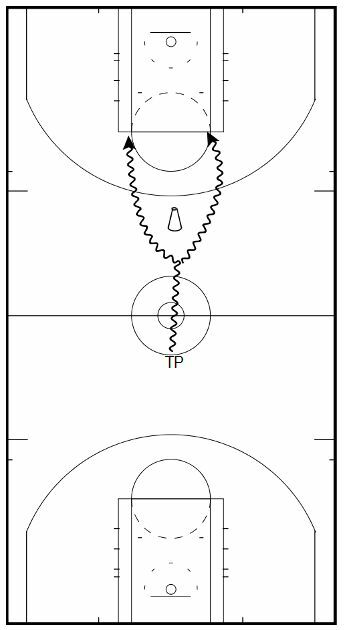 This is a full court dribbling drill that will help you break down defenders into transition, and get all the way to the rim for an easy deuce. 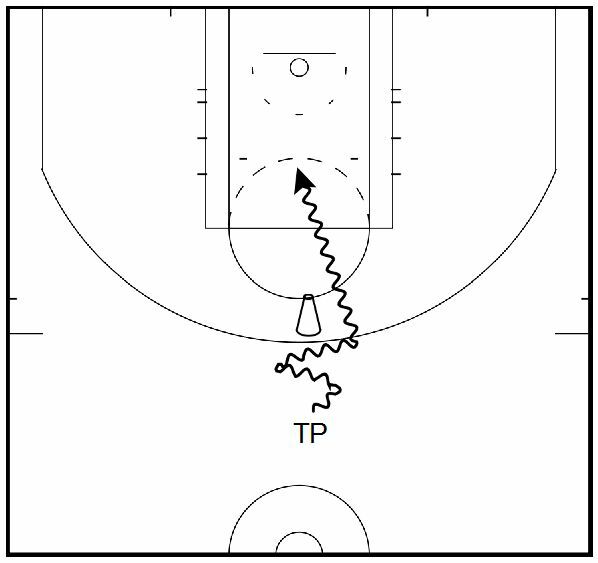 Put a pilon or chair around 25 feet from the basket, outside the 3 point line. Start at your own free throw line, then break up court at full speed. You should try to reach the pilon with as few dribbles as possible, two or three at the very most. Make a stutter step move to freeze your defender, then cross over to the left or right, get all the way to the rim and finish strong. Grab the ball out of the basket, turn around and go the other way immediately. 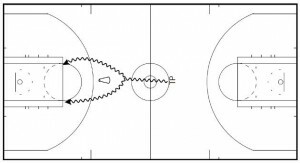 This will definitely push your cardio too, so concentrate on the fundamentals as you get tired – head up as you dribble the ball, getting low and changing direction quickly on the crossover. 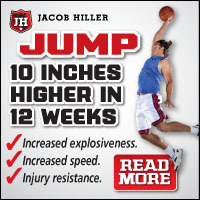 Make 10 at each basket. The video above is filled with double moves that leave defenders looking silly. The key is to get your man leaning one way and anticipating a drive to that side of the floor, then quickly changing hands and changing direction. 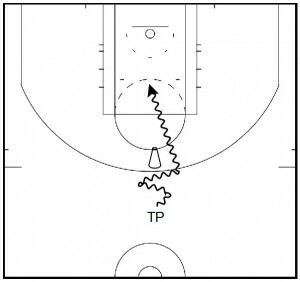 This drill is designed specifically to develop that move. Make 20 shots, mixing up your dribble moves and finishes. Add these two basketball dribbling drills to your workout routine and you’re on your way to developing that ankle breaking crossover, becoming more of a threat off the bounce, and creating more scoring opportunities for you and your teammates.